Luimil Negrón stepped up to the microphone and told the story of her grandmother. She hadn’t gone to high school, barely finished middle school and then worked hard at a meatpacking plant so her two daughters – and then Negrón – could go to college. 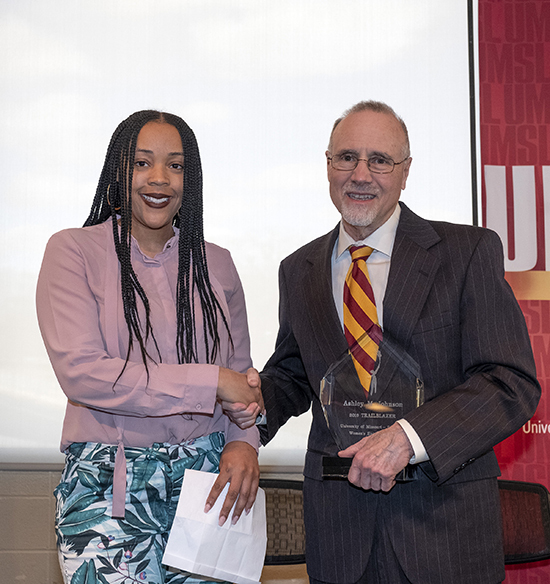 Negrón was one of the 2019 UMSL Trailblazers, an award given annually during Women’s History Month that celebrates women in predominately male occupations or those who’ve made noteworthy contributions to UMSL or their professions. 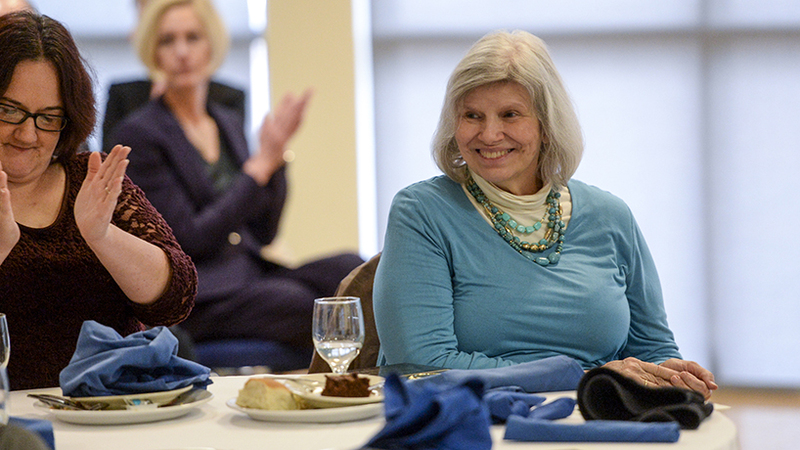 They were acknowledged in a ceremony on Thursday in the Summit Lounge of the J.C. Penney Building. 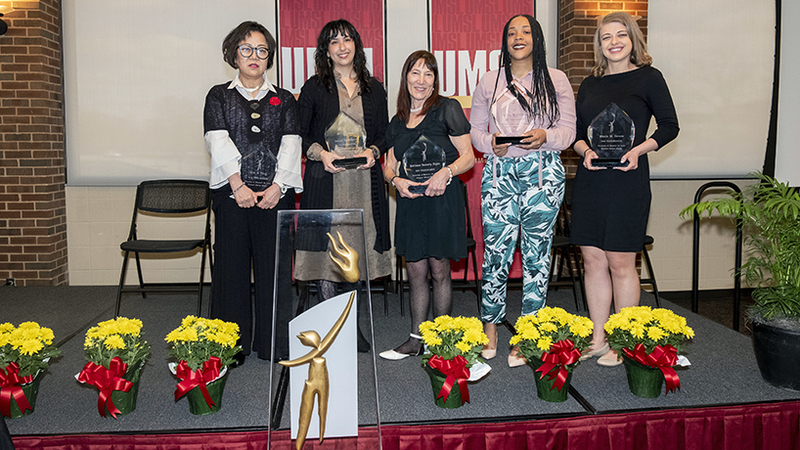 This year’s theme was “Visionary Women: Champions of Peace and Nonviolence,” and the recipients were Negrón, civil engineering major Nicole Gevers, case manager Ashley Johnson, Teaching Professor Kathleen Nigro and Professor Kim Song. Each woman came with stories of persistence, progress, service, resources, support and gratitude. Students were also on Johnson’s mind as she accepted her award. In addition to thanking her mentor, Associate Director of Student Affairs Robin Kimberlin, Johnson noted that one out of every two students experience food insecurity during their time at UMSL. Nigro thanked inspirational women, including Rosa Parks and Malala Yousafzai, and Gevers’ thoughts were in line. Song, as a “single mother and emergent bilingual and as a person who is not in the mainstream in terms of gender,” expressed her gratitude for the award and the thought behind it. Director and Chief Diversity Officer Deborah Burris and the Office of Diversity, Equity and Inclusion hosted the event with alumna Parris Smith as the mistress of ceremonies. 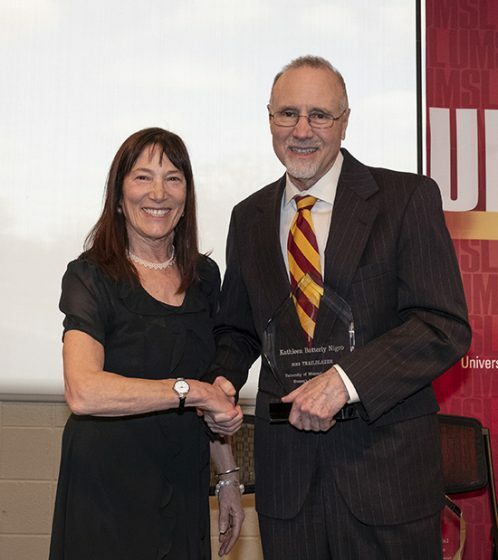 UMSL Chancellor Tom George made remarks and presented the awards, and Betty Van Uum, assistant to the chancellor for public affairs and economic development, gave the address. Nicole Gevers is a senior civil engineering major and a student in the Pierre Laclede Honors College at UMSL. A first-generation student, she received an Opportunity Scholars Program scholarship. She was a student representative for the UMSL/WUSTL Joint Civil Engineering Student Advisory Board, a mentor in the Opportunity Scholars Program, a graduate of the Advanced Leaders Program and a member of the honors college’s Student Mentor Advisory and Recruitment Team. 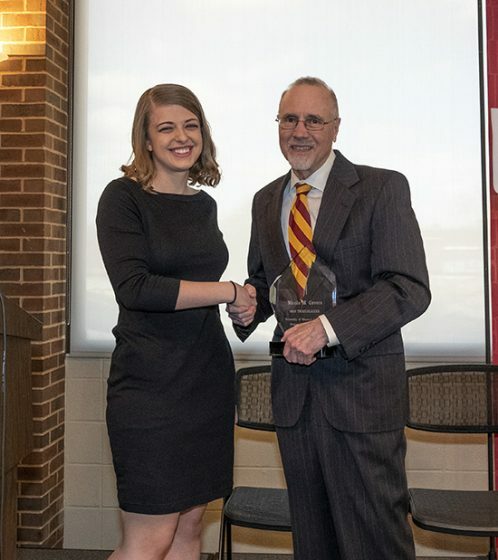 Gevers also served as PLHC Student Association president, for which she was awarded UMSL’s Student Leader of the Year Award in 2018. Gevers has spent the past three years as an editor for Brain Stew, a student-run publication that aims to promote creativity and free speech. After graduation, she will begin her career as a structural engineer with Burns & McDonnell in Kansas City, Missouri. Ashley Johnson became UMSL Student Social Services’ first full-time case manager after completing her practicum and graduating from the School of Social Work in 2017. Through a partnership with the St. Louis Area Foodbank, Johnson has helped secure thousands of pounds of fresh food and personal items for members of the UMSL community in need. 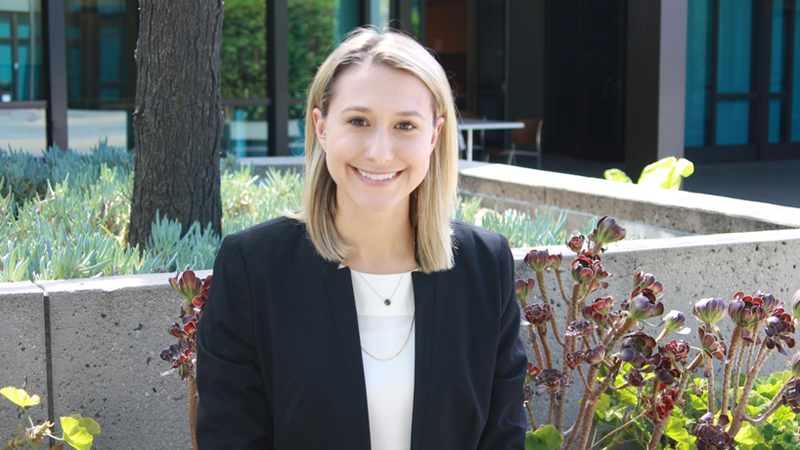 Johnson provides intensive case management to clients of Student Social Services, mentors BSW practicum students and serves as a member of the Campus Assessment, Response and Evaluation team. 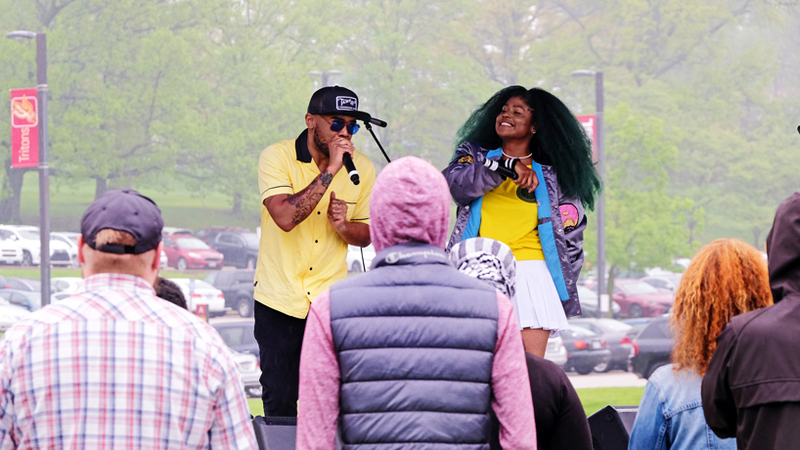 She also serves as the facilitator for UMSL’s Parent Café and has secured external funds through United Way for emergency utility assistance for students. Johnson’s greatest passion is promoting retention within the population she serves, which she does by surmounting the barriers that often prevent vulnerable students from earning a degree. Luimil Negrón is a doctoral student in global education and leadership and the graduate assistant for Latino recruitment and retention in the College of Arts and Sciences. Originally from Puerto Rico, she landed in St. Louis after Hurricane Katrina displaced her from her home in New Orleans. Negrón later earned two master’s degrees at UMSL, one in music education and one in history. Her experience surviving Hurricane Katrina and her time living in Puerto Rico have made her extremely passionate about issues regarding social justice and education. In her own family, she has seen education transform generations, and she hopes that, through her work at UMSL, thousands of Latinos will go to college and reach their full potential. Kathleen Butterly Nigro is a teaching professor of sociology, gerontology and gender and the director for the gender studies program. Her interest in the history of Missouri women began with her internship at the library of the Missouri History Museum as a contributor to “In Her Place: A Guide to St. Louis Women’s History.” Nigro’s interest has continued as a founding member of the Kate Chopin Society of North America and as a board member of the Kate Chopin International Society, which encourages global scholarly interest in Chopin’s work. In 2013, she was the recipient of the Chancellor’s Award for Excellence in Teaching to a Non-Tenure Track Faculty Member. In 2017, she was the recipient of the Chancellor’s Award for Excellence in Campus Service. Kim Song is a professor in the College of Education Department of Educator Preparation and Leadership. A co-founder of the Missouri Dual Language Network in 2015, she teaches undergraduate social studies methods for elementary majors and graduate Teachers of English to Speakers of Other Languages courses. Thanks to a University of Missouri System eLearning grant, Song developed and teaches online TESOL courses. Song has also served as a chair for the UMSL research policy committee in 2018-2019. She served as a co-chair and a Cambio Center Fellow at the 2017 Cambio Conference at the University of Missouri-Columbia and as a plenary speaker in 2018. 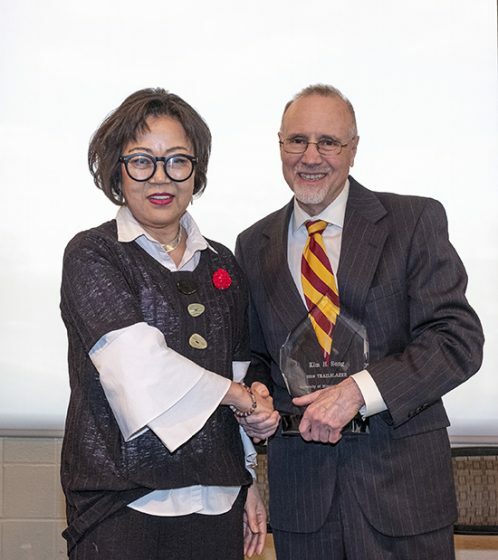 She received the UM System President’s Award for Intercampus Collaboration in 2018. An executive editor of the board for Bilingual Research Journal, Song has been a principal investigator and co-PI for grants totaling $9.9 million from the U.S. Department of Education.